Newberry Architecture is a full-service firm established in 1997 by founder and senior principal Ken Newberry. He established Newberry based on an important belief: Architecture should reflect clients’ personal style and enhance their day-to-day experiences. With that as a founding principle, Ken has assembled a deep team of professionals that understands the value of listening and recognizes that architecture is about clients and what they envision – not about architects and what they want to design. David Feeback, Architect is a Houston based design-oriented firm providing custom residential architecture. Our work includes new homes, remodelings, and additions. With over 25 years of experience we have provided architectural services throughout the Houston area and Galveston, as well as in the remote ranch country of Texas. We are dedicated to providing the finest in residential architecture and strive to make every collaboration with our clients creative, inspiring, and rewarding. RD Architecture is a two women full service boutique residential design firm. We have strong family values and understand that your family is at the heart of your home. Our focus is on collaboration and our clients appreciate and value a process that explores ideas for the best solution. Many come back to work with us time and again. A house is something you buy; A home reflects your lifestyle, aesthetic tastes and provides the right environment to nurture you and your family. - It is the result of a thoughtful creative process. As design therapists and building technicians, we listen to your needs, wants and dreams. RD Architecture’s goal is to design a space specifically for you. Our passion is creating a place you’ll love to come home to year after year. We specialize in new construction as well as remodels and additions. As you can see from our projects, we have a strong affinity for 1920s and 30s bungalows and mid-century ranch homes. Our schedule fills up quickly so contact us early in your thought process. Even if you are only beginning to consider ideas, please give us a call. We’ll walk you through our design process and help you understand what to expect as you move forward with your project. Houston Area Residential Design Firm | 5x Best of Houzz Winner! At DeGeorge Design, we believe good design is not a luxury, but something that should enhance everyday life. It does not just meet the needs of the program, it takes into account the context in which it is built and the realities of construction. There should be ample opportunity for levels of detail, which add richness and scale as well as cohesiveness to a building/space. Design should be a collaborative effort, meeting the Client’s needs while holding to basic principles of design. Established in 2001, DeGeorge Design has grown to meet Client needs. Lance C. DeGeorge is Lead Designer. In 2011, we welcomed Michael Feyjoo as Staff Designer. Kathy Meyer serves as Administrative Assistant and keeps us organized. Feel free to reach out to us, we would love to hear from you! Our company, a Houston based architecture firm, has been serving the Greater Houston Area for 19 years. We specialize in custom residential architecture. Established in 1995, we have worked with many clients to bring their ideas to light. Over the years, we have designed and completed many unique projects. Our goal is to create high quality houses that respond to the clients specific wants, needs and tastes. We want these spaces to be appropriate to their setting while at the same time achieving the goal of functionality and sustainability. We are involved during the entire process of designing and building a home. Our architectural services start with planning and program development, continue to design and construction documents, and concluding with on-site observation. Our precision and passion shine through in our work. The style of our buildings are as unique as our clients. With each new client a new idea becomes a reality. Expect style and class that will not fade with the passing of time. We maintain a consistently high level of professional care and responsibility in each job. We guarantee all of our work to be of the highest quality, as we know our clients would expect nothing less. Your project is our project. Full service architectural firm specializing in luxury homes for private clients. We take great pride creating and implementing the lifestyle invisioned by our clients. Making our clients' dreams come true is our mission. Located in Pearland, Texas, Espinal Architects, LLC specializes in residential and commercial architecture in the greater Houston area. From custom residences to new commercial spaces, our goal is to exceed our clients' expectations. We establish the style, look, and feel you want, and accurately convey them into a practical, efficient, and beautiful space. Alvaro Espinal has been a licensed architect in the State of Texas since 2005. Originally from the Chicago area, Al relocated to Houston in 1998, and received a Master of Architecture degree from Texas A&M University in 2000. Having resided in Oak Park, Illinois, surrounded by the great architecture of Frank Lloyd Wright, and having lived in a classic Chicago-style bungalow, Al fell in love with residences that possess character and soul. He decided early on in his studies to one day establish an architecture practice with a focus on design that moves the spirit. Houston based architecture firm specializing in residential remodeling and new construction. Founded in 2004, we pride ourselves on thoughtful design solutions that are cognizant of the big picture as well as the small details. It is our belief that each project is diverse with it’s own unique set of solutions, and that no project is too small to benefit from professional design. How do I find the best Bunker Hill Village architect for my home design project? It is best to hire a home architect who will be involved in all phases of the design process, from the initial concept to the completed construction. The architect is often the first person you will hire for your project. If necessary, they might also help you select and hire Texas subcontractors, which can include the builders, engineers and landscaper. Interior architects are also involved in negotiating contracts for all involved participants. It is for these reasons that it is extremely important for you to have a good relationship with the Bunker Hill Village residential architect you hire. He or she can be the tie-breaking vote between you and the general contractor and can be your biggest advocate during the construction process. 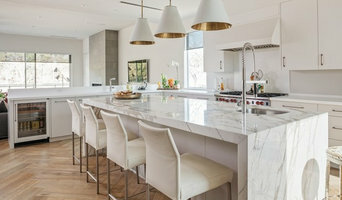 Different architecture firms in Bunker Hill Village, TX provide different services, so the scope of the work can span from pre-design environmental impact studies to selecting furniture and finishes, depending on what your specific needs are. It is very important to hire the right professional for the job. Remember that the most well-known or established designer might not provide the best architectural services for your needs. It all comes down to the individual project. Research and ask people whose work you like for recommendations. It's important to have somewhat of an idea of the style of house architecture that you prefer, as well as the amount you would like to spend. Residential architects in Bunker Hill Village, TX are natural problem solvers. They will assess the entire situation and help you to solve your problems too. Don't settle for a single company too early. Call and interview a few. Make sure that you feel like your personalities will mesh well and that you like their professional perspective. Find a home architect in Bunker Hill Village, TX on Houzz. Narrow your search in the Professionals section of the website to Bunker Hill Village architects. You may also look through photos of Texas projects to find interior architects and building designers who have worked on a project similar to yours.